Data loss prevention (DLP) software is used to secure control, and ensure compliance, of sensitive business information. A key component of DLP solutions is distribution control, which ensures users do not send private information outside of corporate business networks. Security staff and network administrators set business rules that determine who can view, change, and share confidential data. DLP tools often control data on both the network and endpoint level to ensure policies remain consistent across the company. These tools are used to ensure the protection of data and prevent leaks by internal sources. There are overlaps between DLP tools and some governance, risk & compliance (GRC) software, but these tools are specifically geared toward data control. DLP solutions are also used alongside backup software, but as a complement to the software rather than a replacement. Data Loss Prevention (DLP) reviews by real, verified users. Find unbiased ratings on user satisfaction, features, and price based on the most reviews available anywhere. Symantec’s Data Loss Prevention (DLP) solution discovers, monitors, and protects sensitive data wherever it goes – across cloud apps, endpoints, networks and data centers. With DLP, businesses are able to keep their data safe from accidental, negligent and malicious data loss by company insiders. McAfee Data Loss Prevention solution suite protects your data using a combination of powerful encryption, access control, and user-behavior monitoring. For over 20 years, WatchGuard has pioneered cutting-edge cyber security technology and delivered it as easy-to-deploy and easy-to-manage solutions. With industry-leading network security, secure Wi-Fi, multi-factor authentication, and network intelligence products and services, WatchGuard enables businesses from around the globe to protect their most important assets. Teramind provides a user-centric security approach to monitor employee's PC behavior. Our software streamlines employee data collection in order to identify suspicious activity, detect possible threats, monitor employee efficiency, and ensure industry compliance. We help reduce security incidents by providing real-time access to user activities by offering alerts, warnings, redirects and user lock-outs to keep your business running as efficiently and secure as possible. 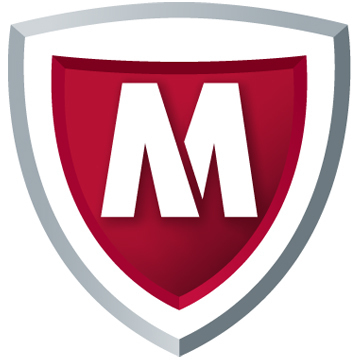 McAfee Complete Data Protection secures critical data on endpoints with encryption. Mimecast Email Continuity delivers always-on, seamless email availability through automatic service failover and failback in near real-time during an email outage. Trend Micro IM Security provides threat and data protection for Microsoft Skype for Business servers. Top-rated malware and URL filtering block phishing messages and malicious file transfers. Built-in Data Loss Prevention (DLP) controls the sharing of sensitive data. Minimize risk exposure with messaging content filters that warn users of unprofessional behavior. This real-time security solution also helps avoid conflicts of interest with communication controls to enforce blocks or ethical walls. Zscaler Internet Access delivers the complete security stack as a service from the cloud. Spirion Data Platform is an enterprise data management software that helps businesses reduce their sensitive data footprint and proactively minimize the risks, costs and reputational damage of successful cyber attacks. Extend visibility and control to cloud apps with a cloud security solution that combines best-in-class DLP and CASB technologies from Symantec. Endpoint Protector is a full DLP and MDM solution that prevents users from storing sensitive data on their workstations and from taking critical data outside the company or bringing potential harmful files on storage devices inside the network. UTM solutions are compact, cost-effective, all-in-one small business firewall appliances. Powered by dedicated security, rather than general purpose, processors, they deliver high-performance next-generation firewall, web, and email filtering, data loss prevention and more, easily managed via a single console. In addition, you can solve your networking needs with extensive routing, switching, Wi-Fi, LAN, and WAN capabilities. CA Data Protection enables you to discover, classify and control information in-use, in-motion, at-rest and at-access. CA DataMinder not only prevents data leakage from occurring but controls it throughout its lifecycle. CipherCloud provides a single platform to secure sensitive customer data across multiple public and private cloud applications, without impacting functionality or performance. Check Point Data Loss Prevention (DLP) combines technology and processes to revolutionize DLP, helping businesses to pre-emptively protect sensitive information from unintentional loss, educating users on proper data handling policies and empowering them to remediate incidents in real-time. Data loss prevention. A single policy to protect your data, wherever it is. inDefend User Behavior Analytics and Data Loss Prevention Solution (DLP) offers a mechanism designed to allow users to detect and tackle various kinds of sensitive activities pertaining to data loss and data theft. McAfee DLP Endpoint IS A DLP app that protects intellectual property or financial data from unexpected disappearance via virtual data protection policies. Proofpoint Email DLP simplifies data loss prevention by giving you complete visibility and control of email leaving your enterprise. A database and big data scanner that identifies configuration mistakes, identification and access control issues, missing patches, and any toxic combination of settings that could lead to bad outcomes like data loss and DDoS attacks. Barracuda Backup makes it easier and more cost-effective than ever for you to protect all your data from cyber criminals, natural disasters, hardware failures, and more. Physical, virtual, cloud, and SaaS — a single, integrated solution keeps all your data safe. Safeguard your sensitive company data. Blue Coat Data Loss Prevention (DLP) enables you to detect and block potential data leaks quickly and accurately, all while achieving industry and regulatory compliance. With Blue Coat DLP, you can leverage powerful discovery capabilities to prevent sensitive, unsecured data from traveling across the network and winding up in the wrong hands. Blue Coat DLP is a highly scalable, single appliance solution. Using centralized management features, you can easily create policies that analyze the data source, content, destination and more. Best of all, you can install and start using key compliance and risk mitigation features in one day. Clearswift's Adaptive DLP is a software that offers a unique, non-disruptive approach to protecting the unauthorized disclosure of sensitive data wherever it lives at the endpoint, on premise or in the cloud. CloudLock helps companies protect their data in the cloud. DataSense Data Protection is a centrally managed system that scans for sensitive data such as social security numbers for data at rest. DataSense Data Protection can take an inventory of the sensitive data that is lurking in your network and databases, and alert you which servers are the culprits. DeviceLock provides DLP solutions protecting organizations from data leak threats. DG Data Protection Platform detects threats and stops data exfiltration from both well-meaning and malicious insiders as well as external adversaries. Evolution DLP features include: Automatic Encryption (Endpoint Security) Detects and automatically encrypts data moving out of the organization. Encryption protects all avenues of data loss including USB drives, external HDDs, optical media, smartphones, Internet, and email. Whitelist Protection (Cyberattack Prevention) An advanced API-level whitelist protects computers from known malware, unknown malware, targeted attacks, phishing, and other types of cyberattack. Write Control (Endpoint Security) Shuts off all outbound transfers and writes of all files, by all programs, through all pathways unless permitted by the organization. Operation History (Endpoint Security, Cyberattack Prevention) Records every detailed user and program action on all PCs. Human-readable logs give 100% visibility into the organization’s operations. Fidelis Network bi-directionally scans all network traffic, regardless of port or protocol, to reveal the network and application protocols, files, and content. GhangorCloud is a leading provider of Cyber Security solutions enabling defense against most sophisticated Cyber Attacks on Information and Data Repositories and Applications. Exchange EDB file data get stores in Exchange Server with extension Priv1 .EDB. It is used almost in every big enterprise and equally responsible for managing system database files. Data Loss Prevention is defined as a system which performs Real-Time Data Classification on Data at Rest and in Motion while automatically enforcing data security policies. Data in Motion is data going to the cloud, internet, devices or the printer. MYDLP SUITE Data Loss Prevention software keeps your data safe. MYDLP SUITE Data Loss Prevention software secures your customers' data. The iboss Distributed Gateway Platform is specifically designed to solve the challenge of securing distributed organizations. It is the first and only solution that leverages an elastic, node-based architecture that is built for the cloud. The iboss Distributed Gateway Platform provides the advanced security organizations need and the scalability they require to meet their ever-increasing bandwidth demands. Unlike traditional secure web gateways, the iboss Distributed Gateway Platform delivers high-performance cybersecurity in a 100% SaaS subscription model, meaning global enterprises never have to purchase or manage any on-prem appliances ever again. Read this data sheet to learn more. InfoWatch Traffic Monitor is a centralized solution for preventing confidential data leaks and thus eliminating financial losses. End-to-end solutions that organizations can rely on to address their security challenges, mitigate their risks & provide a safe and undisrupted operating business environment. System that protects office applications from internal or external data loss, detects private data, and alerts about possible leakage. Netskope is the leader in cloud security — we help the world’s largest organizations take advantage of cloud and web without sacrificing security. Our Cloud XD™ technology targets and controls activities across any cloud service or website and customers get 360-degree data and threat protection that works everywhere. We call this smart cloud security. Safetica Technologies is a Czech software company that delivers data protection solutions for businesses of all types and sizes. SearchInform DLP is a data loss prevention software, incident reporting, safety managment system. Secudrive File Server prevents data leaks from the shared folders on file servers or network attached storage (NAS) by establishing a secure file sharing environment. SecureTower is an enterprise DLP solution with a lot of functionality for user monitoring and analysis. The tool intercepts vast majority of communication and data transfer channels of the corporate network. Trustwave EPS is a modular endpoint protection solution that includes policy scanning, file integrity monitoring, Windows log collection, and more. Somansa Data Loss Prevention solutions are designed to quickly and effectively discover, monitor, and prevent confidential and sensitive data wherever it may be and help companies reduce the cost and complexity of managing DLP solutions. Hi there! Can I help you find the best Data Loss Prevention (DLP) solutions?